Next to the entrance of Vulture Festival at Milk Studios in Chelsea (450 W 15th St) is a non-stop party locale. 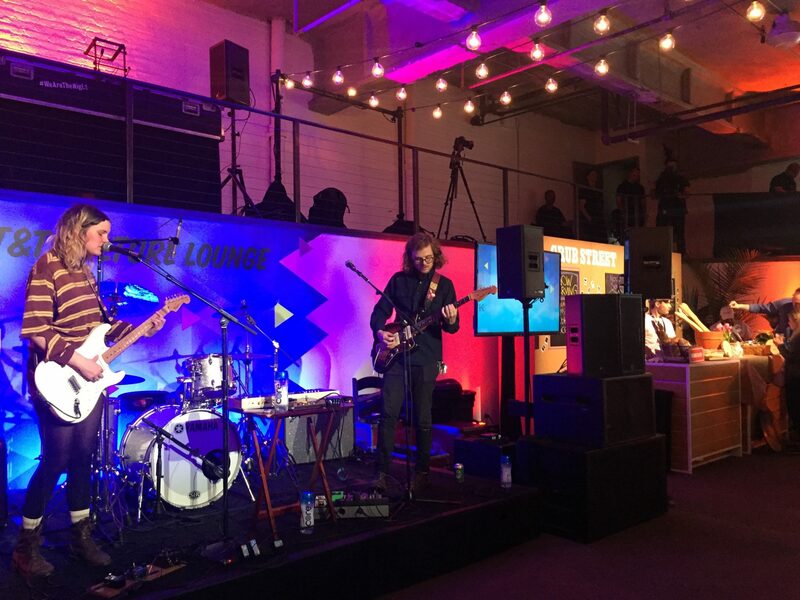 The AT&T Vulture Lounge features sustenance, music, and tons of swag for the festival goer. Held at the Highline Stages, panel audiences that finish their shows can mosey on over for live music and and delicious food, as well as some other goodies. 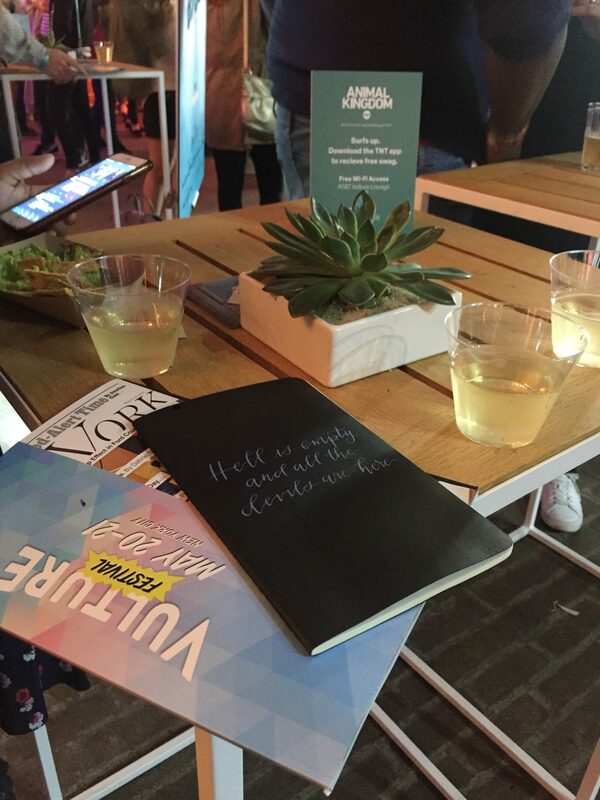 The full list of what will be at the Lounge can be found through Vulture, but here are some of our highlights and why you NEED to stop by this place if you’re attending the Festival. It’s obviously vital to stay hydrated during a long day, and there are bins full of CORE Hydration water bottles. I’m not too sure about the legitimacy of “pH balanced water,” but it sure is nice to have some H2O when you need it. It may be commonplace for festivals and conventions at this point, but it’s always nice to be able to charge up your phone. This year, in addition to charging up your phone, you can also create some spin art alongside it! While there’s no shortage of things to listen to and watch during the weekend, there’s also no shortage of food. If you haven’t already filled your stomachs at Chelsea Marketplace across the street, make sure to hit up Grub Street. Every couple hours the food service changes depending on the time of day. 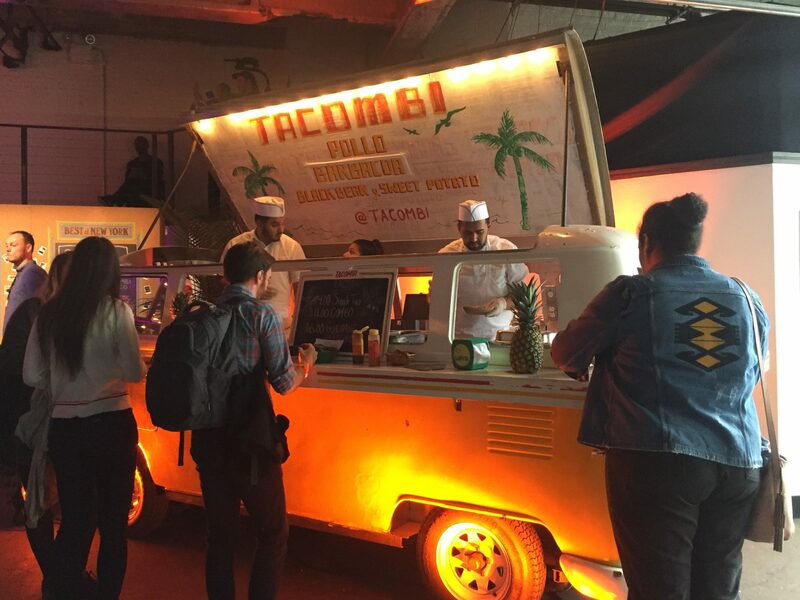 Some highlights of day one was delicious artisan bread and Tacombi Tacos’ chips and guac. With a couple of drink vouchers you’re basically set. Get yourself a glass of Bridge Lane white wine or a bottle of Heineken after the show, but start off the day with a cup of Nobletree cold brew coffee! The lounge opens at noon, so it’s the perfect pick-me-up if you’ve got a long day of panels! Though there is a DJ featured, the live music turns the entire lounge into a different experience. It brings a certain life to the party, and is a nice accompaniment for you when you want to relax and drink some wine while chatting with your friends or charging your phone. TNT brings along calligraphers from Brooklyn (Three Keys Brooklyn) to write famous Shakespearean quotes on blank notebooks as a part of promotion for their upcoming show Will. It’s a cute little souvenir to have and definitely useful for anyone who wants to travel light but still wants something on hand to jot notes down in. It’s hardly a social event in America if you don’t get some sort of free t-shirt out of it. TNT, again, brings this to the table. 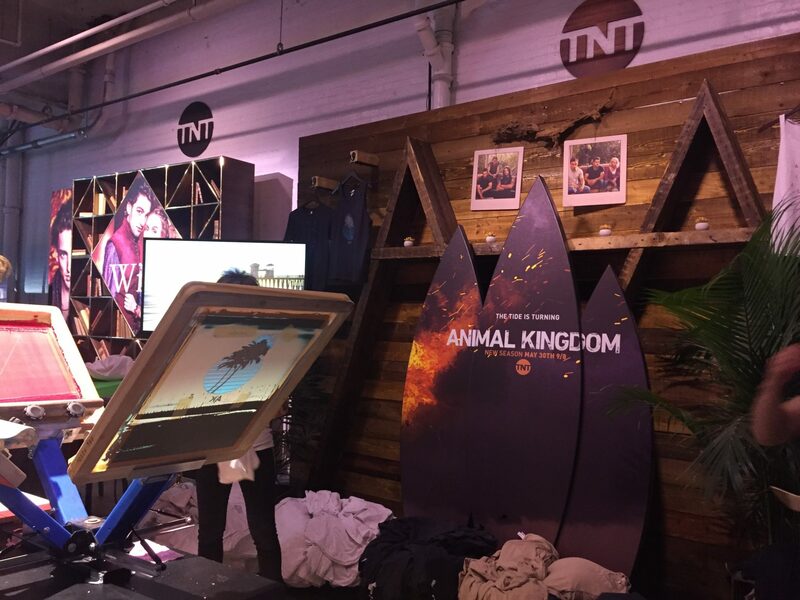 With a live screen printing process in front of you, you can pick out what design and shirt you want which features a promotion for another upcoming network drama called Animal Kingdom. The designs are graphic and eye catching and they’ve got t-shirts and tank tops and take a matter of seconds. It’s better than the default black t-shirt with just the show name, that’s for sure. 1. Free Nail Art Manicure! 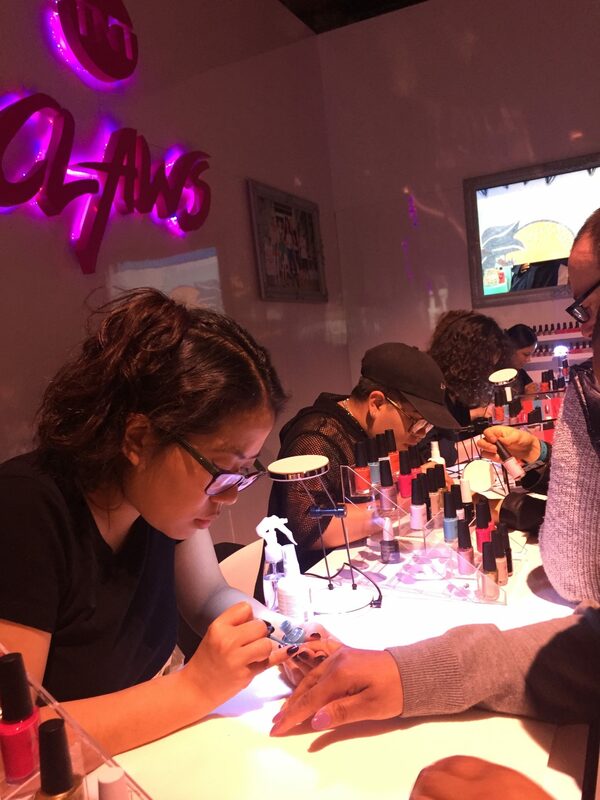 Honestly, what takes the cake for me is the fact that TNT brought in nail technicians to give complimentary manicures in order to promote their new show Claws. These technicians typically work events, and are able to tailor the look that you want from the given templates that you can choose from. The booth features a sign up, where you set an appointment time, and come back for the manicure. It’s a relatively quick process, and then afterwards you’re free to take a snapshot of the design on one of their backdrops or just post a Boomerang directly to Instagram. 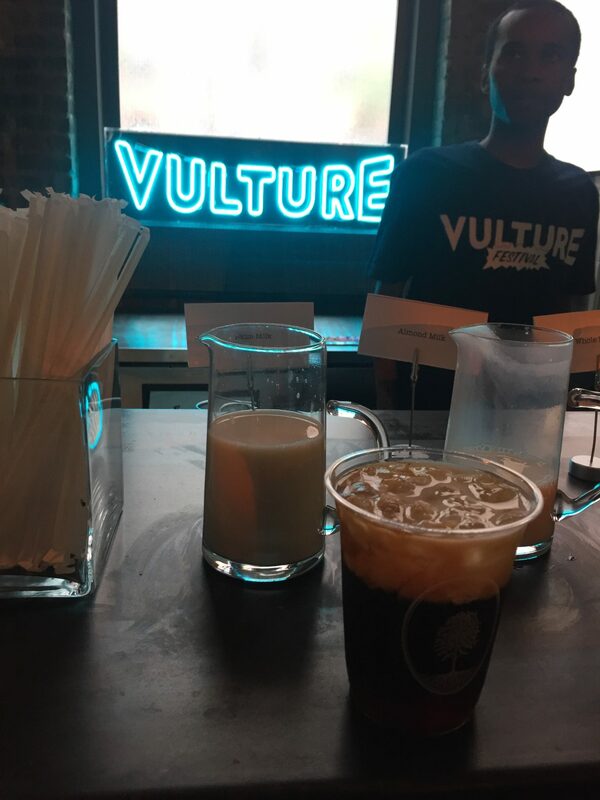 For anyone attending Vulture Festival, make sure to stop by the lounge and take it all in! Even if you’re just there to take a seat for a minute, it’s a gorgeous space that is a must-visit if you’ve got the time or need the break between panels!